Jonathan Kellerman is the #1 New York Times bestselling author of more than forty crime novels, including the Alex Delaware series, The Butcher’s Theater, Billy Straight, The Conspiracy Club, Twisted, True Detectives, and The Murderer’s Daughter. With his wife, bestselling novelist Faye Kellerman, he co-authored Double Homicide and Capital Crimes. With his son, bestselling novelist Jesse Kellerman, he co-authored The Golem of Hollywood and The Golem of Paris. He is also the author of two children’s books and numerous nonfiction works, including Savage Spawn: Reflections on Violent Children and With Strings Attached: The Art and Beauty of Vintage Guitars. He has won the Goldwyn, Edgar, and Anthony awards and the Lifetime Achievement Award from the American Psychological Association, and has been nominated for a Shamus Award. Jonathan and Faye Kellerman live in California, New Mexico, and New York. 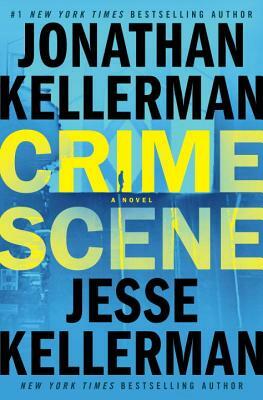 Jesse Kellerman won the Princess Grace Award for best young American playwright and is the author of Sunstroke, Trouble, The Genius (for which he won the 2010 Grand Prix des Lectrices de Elle), The Executor, and Potboiler (for which he was nominated for the Edgar Award for Best Novel). He lives in California.